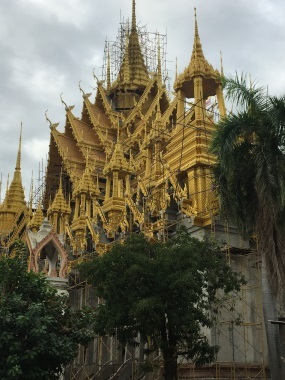 Welcome back to the November issue of the Bangkok Travelbug. 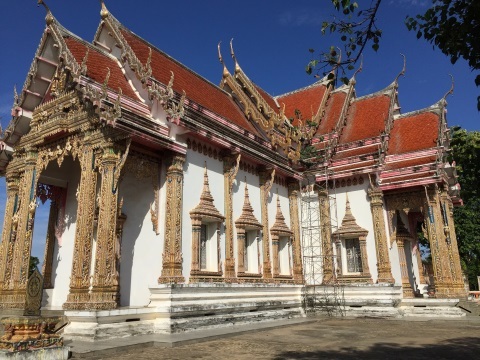 For new subscribers, welcome to the Bangkok Travelbug community. 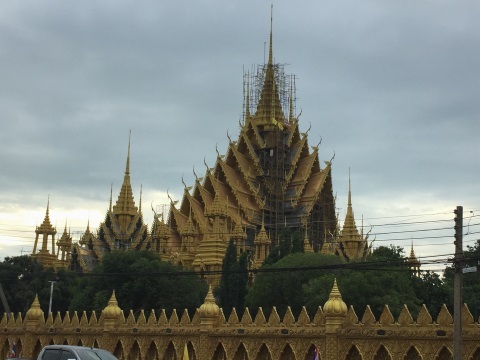 This month we take a drive up north to Phitsanulok, an old city that's 370 km by road from Bangkok. In a short three-day visit over a long weekend, we bring you some of the attractions in this historical city. 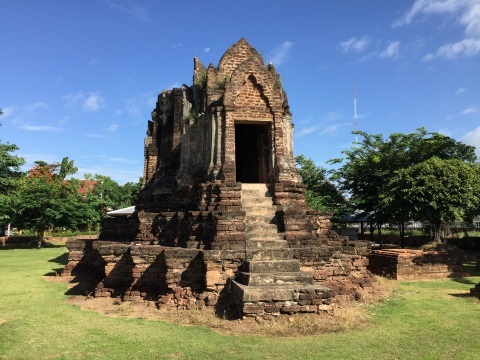 Phitsanulok is a very old city; like Lopburi it was one of the fringe provinces of the Khmer Empire around the 9th to 12th C. This makes Phitsanulok older than Sukhothai which was established in the 13th C. Several kings of Sukhothai have ruled from Phitsanulok. 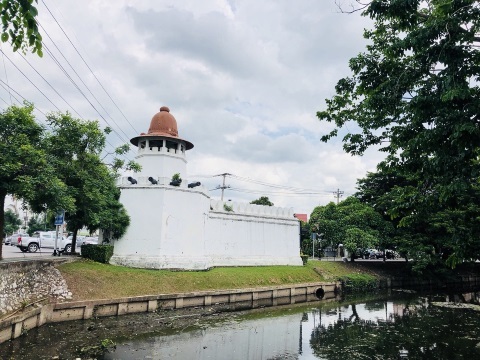 This was because its strategic location to the north of the Chao Phraya basin made it critical for guarding against invasions from the northern highlands. 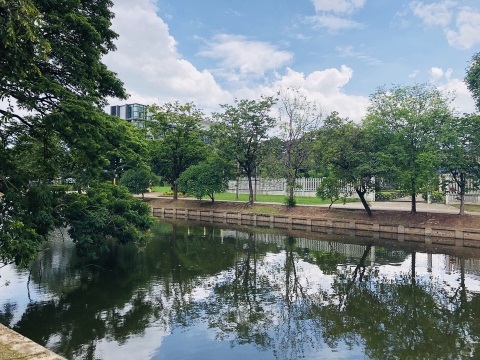 The city is located on the Nan River which joins up with the Yom River from Sukhothai and later the Ping River from Chiang Mai to form the Chao Phraya at Nakhon Sawan. This was an important tactical advantage in the days when most movement of troops and supplies was along waterways. From Phitsanulok, one could sail all the way down to Ayutthaya. As a result, Phitsanulok was involved in several wars between Sukhothai and Ayutthaya and later between Ayutthaya and Lanna and Burma. It was also a centre for religion with several famous temples with revered Buddha images installed in them. 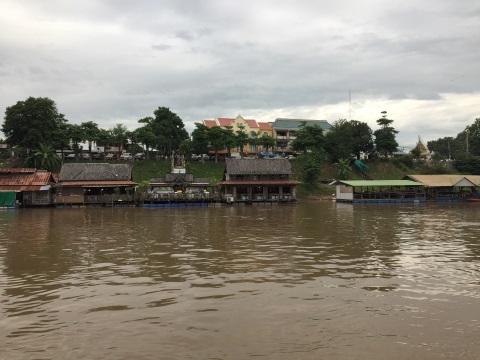 Trading ships from Ayutthaya stopped at Phitsanulok because the water further upstream were too shallow, thus making Phitsanulok a trading centre as well. King Borom Trailokanat ruled in Ayutthaya from 1448 – 1463, from 1463 – 1488 he moved his capital to Phitsanulok. He built the city walls to promote it as the second capital and restored several temples as well. 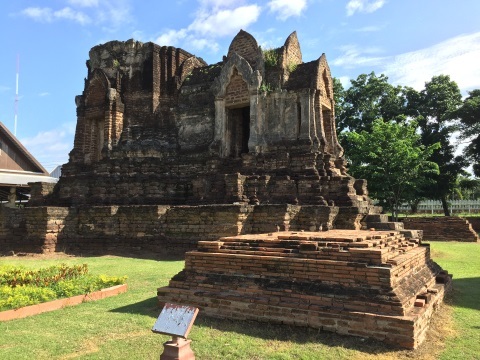 The city walls were built with bricks made from soil similar to that of Sukhothai. 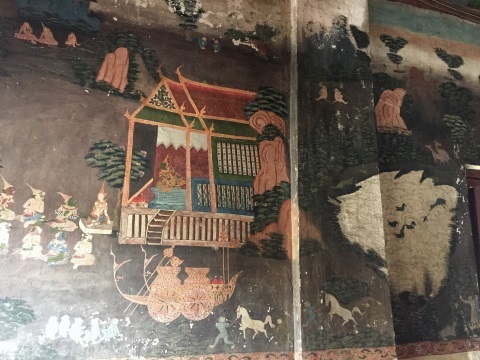 The walls were reconstructed by King Chakkraphat (1548 – 1569) and again by King Narai (1656 – 1688) with the help of French engineers. King Rama I ordered the walls and fortresses to be pulled to prevent the Burmese from using the city as a fortified base against Siam. All that remains of the old city walls are two short stretches along Phra Ruang Road. 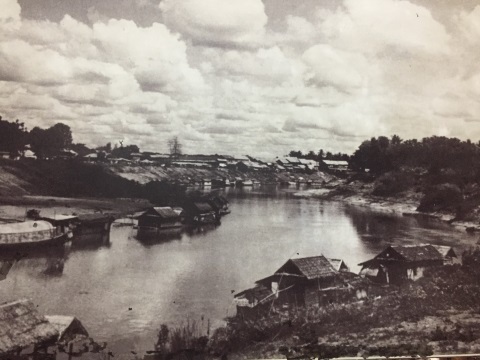 Phitsanulok was accorded the status of province in the reign of King Rama VII (1925 – 1935). 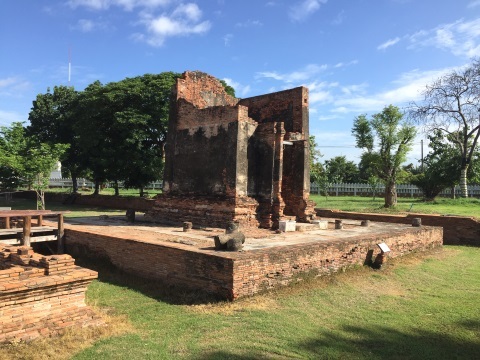 Wat Ratchaburana is an ancient temple dating back to the Sukhothai era and has several ancient relics and structures. 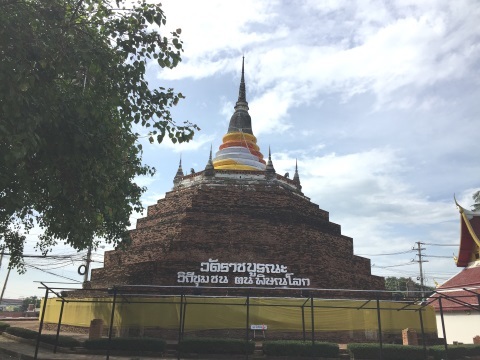 The broad based chedi in Sukhothai architecture is a prominent landmark. 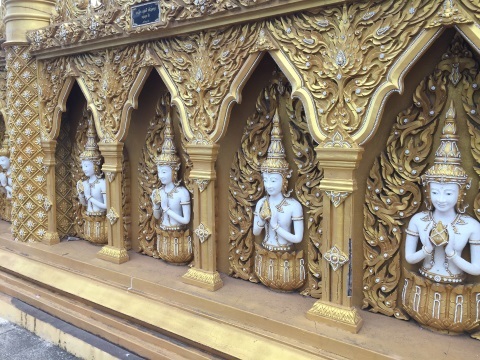 The viharn luang houses a 700-year-old golden Buddha image. 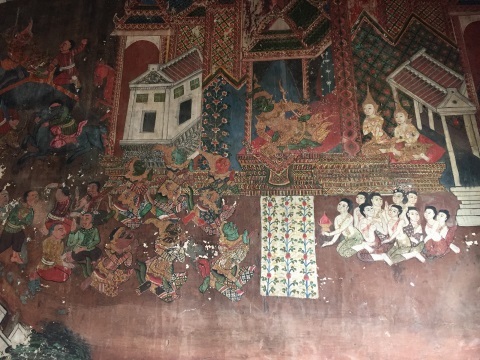 The old murals in the ubosot featuring the Ramakien drama were painted in the reign of King Rama IV. 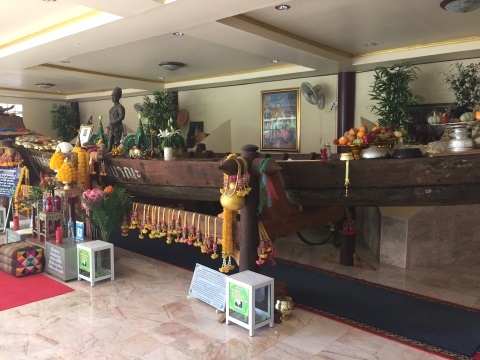 Another building displays the boat used by King Rama V when he visited Phitsanulok in 1901. 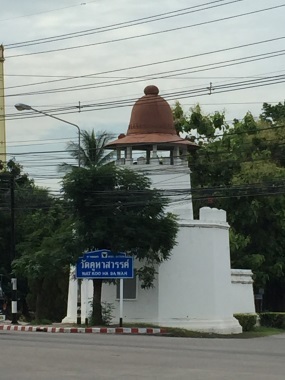 If you do a search in the Google map for Wat Ratchaburana, Phitsanulok, the pointer will be placed at Wat Nang Phaya which is across the road. This is incorrect; these are two different temples. This is probably because Wat Ratchaburana is only listed in Thai in the Google map and not in English. 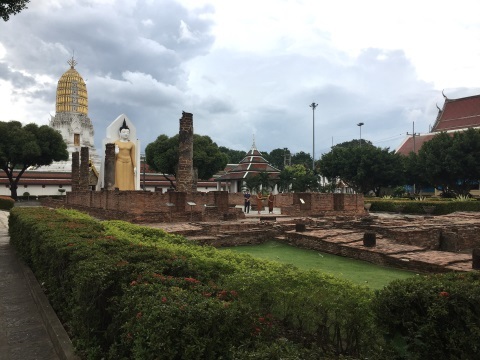 It wasn't easy finding this temple officially known as Wat Phra Si Rattana Mahathat, locally known as Wat Yai and on the Google map as Wat Buddha Chinnarat! We only learned about the local name when we were asking for the way. I remember the bemused look on the person's face after I mentioned the long official name. "Oh, you mean Wat Yai" was the response. 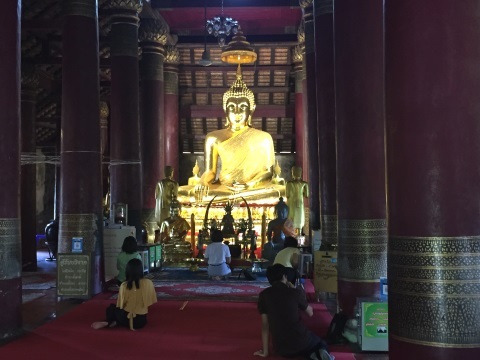 The temple was built in 1357 in the reign of Phra Maha Thamma Racha I of Sukhothai to house Phra Buddha Chinnarat, the most famous and revered Buddha image in Thailand. Behind the ubosot is Phra Attharot, a standing Buddha among some old ruins. In the background is a 36-metre-high prang in Ayutthaya style. It was late afternoon, far too crowded and almost closing time, so we couldn't visit National Museum for Buddha Images which closes at 4:00 pm. 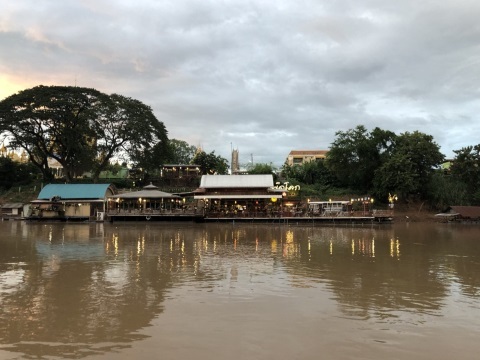 There are at least four raft restaurants in the Nan River in the part of Phitsanulok where we stayed. 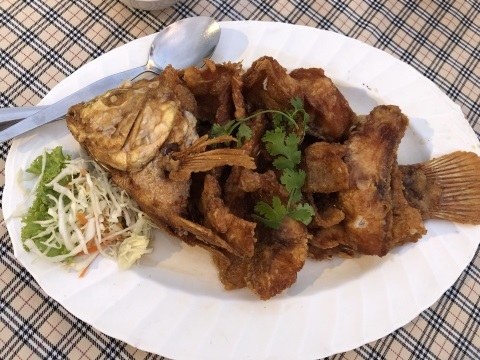 We tried the Pae Phu Fa Restaurant on the first evening. 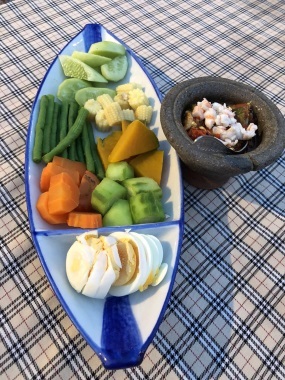 The following evening, we crossed over to the west bank of the Nan to try the other raft restaurant Pae Pid Lok. The food was outstanding and the atmosphere very pleasant. 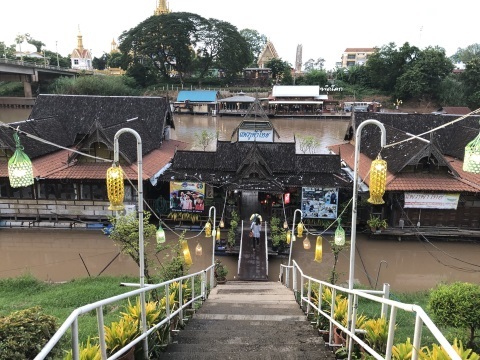 As we crossed the Suphankanlaya Bridge to get to the west bank of the Nan, we caught sight of this stunningly beautiful temple with its golden spires across the river directly ahead of us. 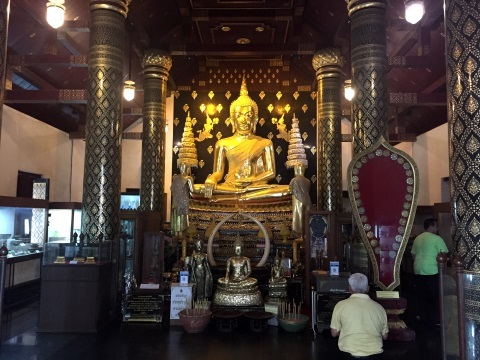 It was still early for dinner, so we visited Wat Chan Tawan Tok which wasn't planned for. It is a beautiful temple indeed. 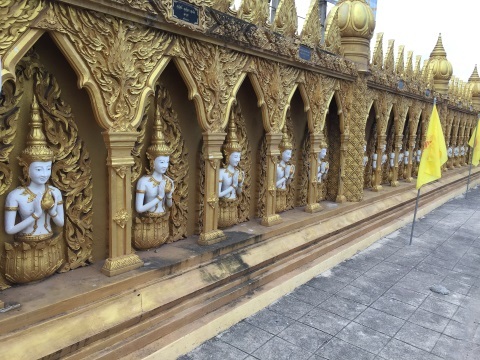 Wat Chula Manee is one of the oldest temples in Phitsanulok. 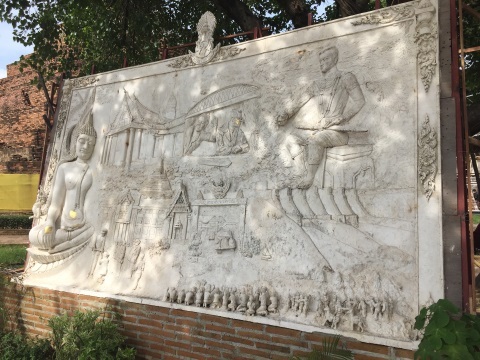 The old Phitsanulok Town was believed to be located around here before it was moved to the present location in 1357. 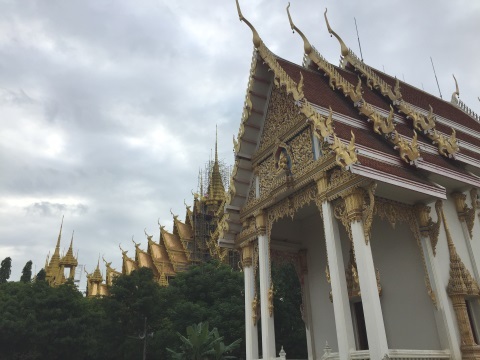 We visited this temple on our way home on the last day, as the temple is located along route 1063, the way to the south and Bangkok. The old ruins around the temple grounds look very much like Khmer ruins and give an indication of the age of these ruins. The temple is believed to be built much earlier then abandoned and rebuilt. King Borom Trailok Kanat rebuilt the temple in 1465 and ordained as a monk here. It was peaceful here with not many visitors unlike the other temples we visited earlier. The clear blue sky made a perfect backdrop for photo taking here; a fitting end to a wonderful weekend.